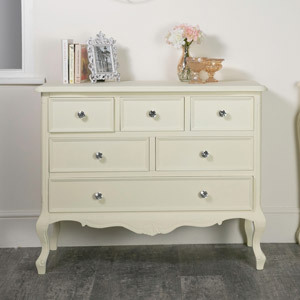 This cream chest of drawer is from our Elise Cream Range of bedroom furniture. 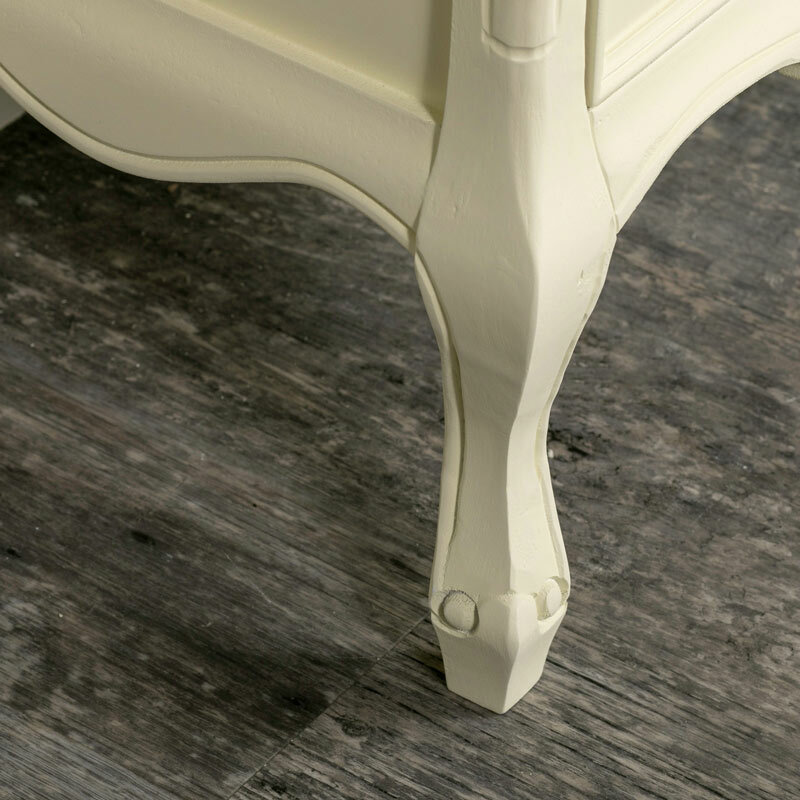 This vintage, shabby chic storage unit would make a beautiful addition to a bedroom, living room or hallway. 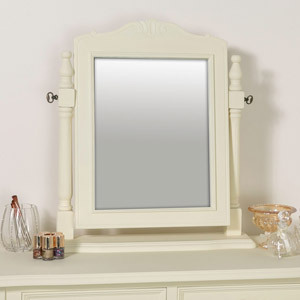 Each piece comes with French style carved detailing and luxury crystal handles. 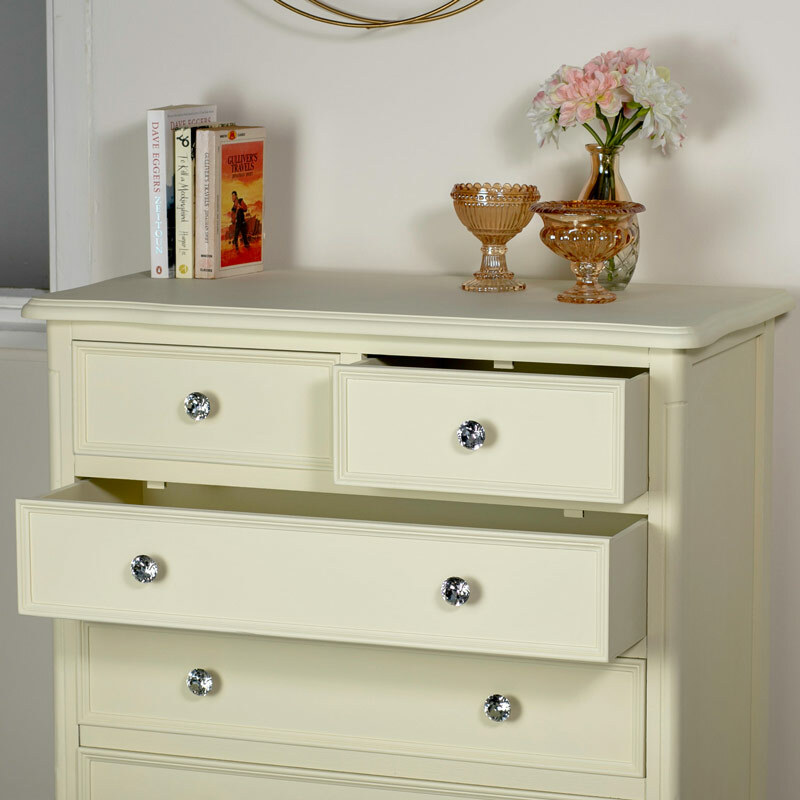 This set of storage drawers is part of a full bedroom furniture set. 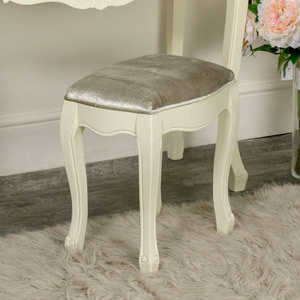 The Elise Cream furniture offers superior style in the classic French shabby chic look. We have a great choice in matching furniture that will allow you to create the perfect bedroom with even more furniture for the living room and hallway. 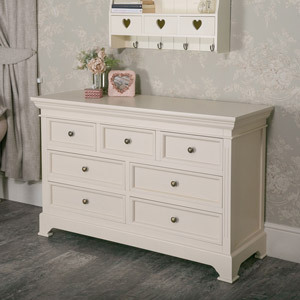 This chest of drawers will also help to create an exquisite look in your living room or hallway with the drawers being ideal for storage and offering that extra surface space for displays and decorative arrangements. 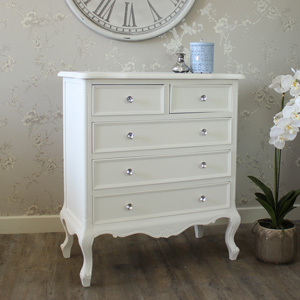 This cream chest of drawer is from our Elise Cream Range of bedroom furniture. 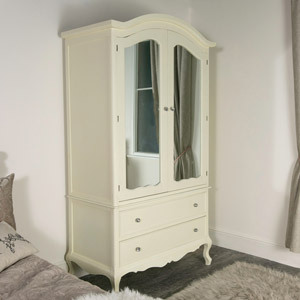 This vintage, shabby chic storage unit would make a beautiful addition to a bedroom, living room or hallway. Each piece comes with French style carved detailing and luxury crystal handles. This set of storage drawers is part of a full bedroom furniture set. 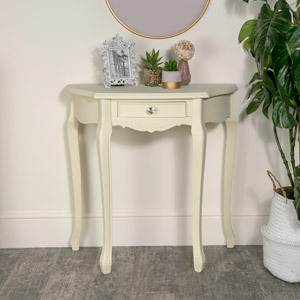 The Elise Cream furniture offers superior style in the classic French shabby chic look. We have a great choice in matching furniture that will allow you to create the perfect bedroom with even more furniture for the living room and hallway. 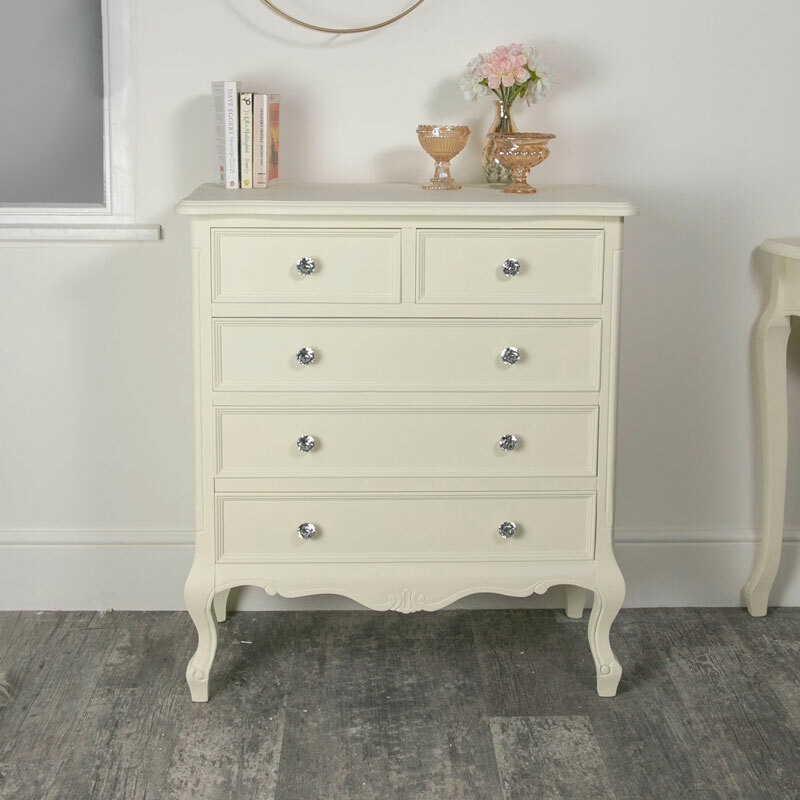 This chest of drawers will also help to create an exquisite look in your living room or hallway with the drawers being ideal for storage and offering that extra surface space for displays and decorative arrangements. 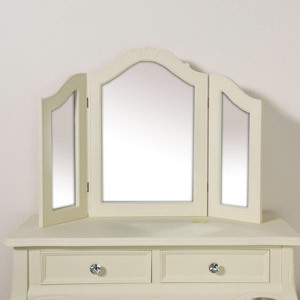 Made from wood and painted in a cream finish. The chest of drawers comes fully assembled so all you need to do is unbox and start using.